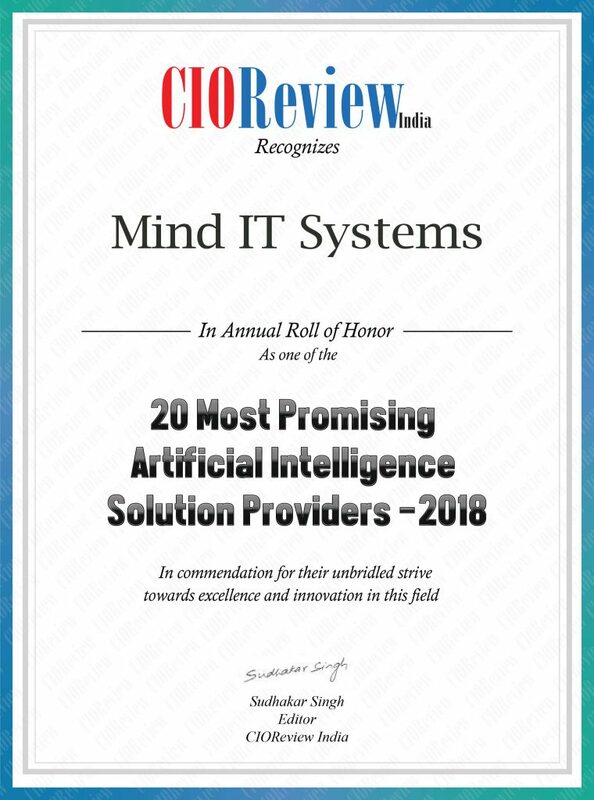 We have been recently chosen as one of the 20 Most Promising Artificial Intelligence Solution Providers 2018 by CIOReview after a series of interviews over calls and emails wherein they reviewed our portfolio and solution offerings. The process was extensive and we want to thank them for the same. AI has the potential to introduce new sources of growth, changing how work is done and reinforcing the role of people to drive growth in business. Established in 2014, based out of Delhi, Mind IT Systems believes that Artificial Intelligence should not be looked at as a stand alone tech but as an all pervasive and overarching concept that has potential to bring varying things together. 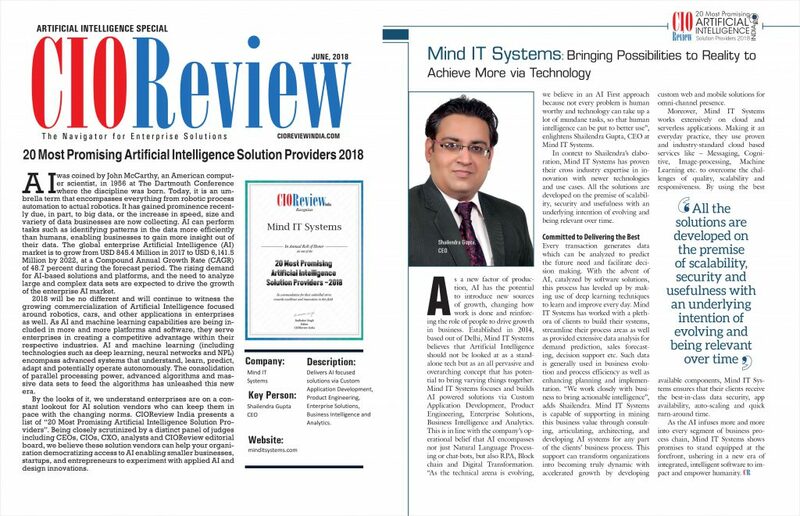 Mind IT Systems focuses and builds AI powered solutions via Custom Application Development, Product Engineering, Enterprise Solutions, Business Intelligence and Analytics. This is in line with the company’s operational belief that AI encompasses not just Natural Language Processing or chat-bots, but also RPA, Block chain and Digital Transformation. As the technical arena is evolving, we believe in an AI First approach because not every problem is human worthy and technology can take up a lot of mundane tasks, so that human intelligence can be put to better use.